Don't let Monday stop you from having a BBQ cookout with a free spatula and some cheap video games. We've got discounted digi-cams and camcorders for you to document your fiesta's crazy moments too. • 20'' Samsung Widescreen LCD Monitor for $134.99 plus free shipping (normally $154.99 - use this rebate form). • 22'' ASUS 1080p Widescreen HD LCD Monitor for $184.99 plus free shipping (normally $219.99). • SanDisk 4GB Cruzer USB Flash Drive for $9.99 plus free shipping (normally $19.99). • Western Digital 2TB USB My Book Edition Dual-Drive Storage System for $199.99 plus free shipping (normally $249.99). • Xbox 360 Wireless Controller for $31.75 plus free shipping (normally $49.99). • Guitar Hero World Tour Deluxe Band Kit for the Wii for $119.98 plus free shipping (normally $189.99). • Six Flags Fun Park on Wii for $18.99 plus free shipping (normally $29.99). • MLB Superstars on Wii for $9.97 (normally $19.99). • Wario Land Shake It on Wii for $27.83 plus free shipping (normally $49.99). 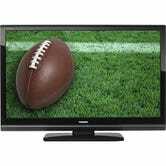 • 52'' Toshiba REGZA 1080p LCD HDTV for $1,199.98 plus free shipping (normally $1,899.99). • Marantz SR4003 Home Theater Receiver with HDMI Switching for $399 plus free shipping (normally $549). • Logitech Harmony 659 Remote (refurbished) for $55.99 plus free shipping (normally $59.99). • Cables Unlimited Wireless Indoor/Outdoor Speakser with Remote Pair for $79.99 plus free shipping (normally $99.99 - use this rebate form). • RCA DVD Home Theater System with HDMI Output for $88 (normally $129.99). • Polaroid 6'' Digital Photo Frame with Clock Radio for $23.99 (normally $39.99). • Kodak EasyShare M763 7.2MP Digital Camera for $54.98 plus free shipping (normally $119.99 - use coupon code 46PS59J6STVMLC). • Pure Digital Flip Ultra Series F260 Camcorder (recertified) for $79.99 (normally $129.99). • Coby Electronics 2GB MP3 and Video Player for $19.99 (normally $39.99). • V7 NAV740 GPS Automobile Navigator for $89.99 plus free shipping (normally $199.99). • Two-Pack Belkin TuneBuds Earbud Replaces for iPod (10 pairs) for $0 (normally $19.99 - valid today only). • McAfee Internet Security 2009 for $0 (normally $50 - use this rebate form). • 75 4x6 Photo Prints from Office Max for $0 (normally $3.75). • iolo technologies DriveScrubber 3 for $0 (normally $21). • Recorded Concerts for $0. • SOS Night Fever Energy Drink for $0. • Grill Spatula/Turner for $0 (applicable for first 7,000 only). • Toby the Train Coloring book for $0.